Besides exceptional versatility, the 5’x8’ HaulSport™ trailer kit is designed for handling a variety of hauling tasks for work & play. Ideal for pulling behind small or full size vehicles out on the open highway or down a gravel road, this trailer is engineered to provide exceptional balance and ease of mobility without giving up one ounce of payload capacity regardless of the job. 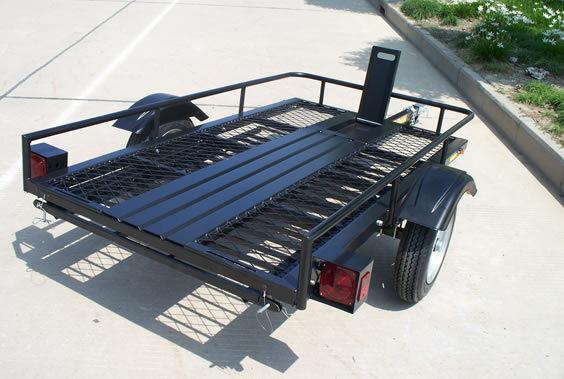 Every HaulSport™ trailer comes with built in ramp storage, triple wide 1,000 lb. 60" ramp, payload balancing system, recessed chock, LED lights, 6 ply radials and custom wheels. With the tongue weight being less than 30 pounds, virtually anyone can easily move, push, pull, hook up, or tow this trailer. Trailer hauling capacity 2,090 lbs.